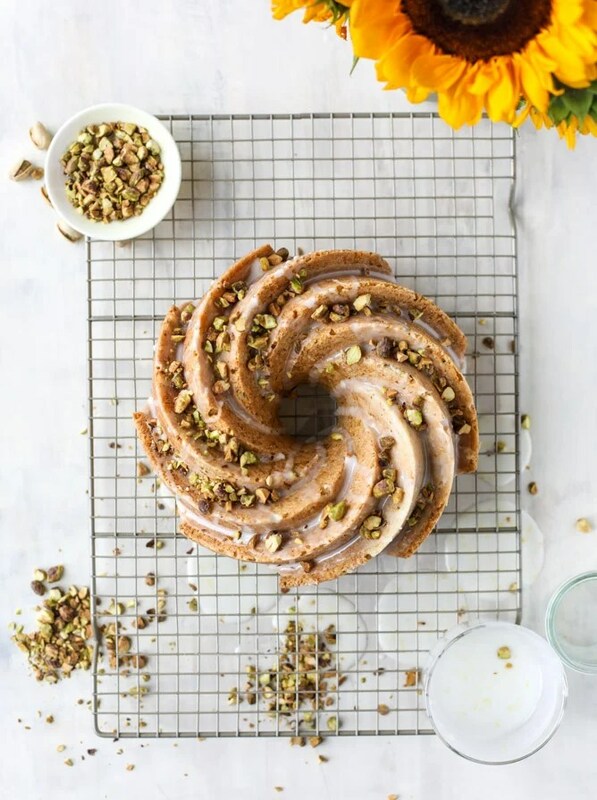 There’s just something ABOUT a bundt cake, right? I mean, it can be the exact same flavor as any other cake, be it a layer or sheet cake, and sometimes you just want a bundt. Or is it just me? 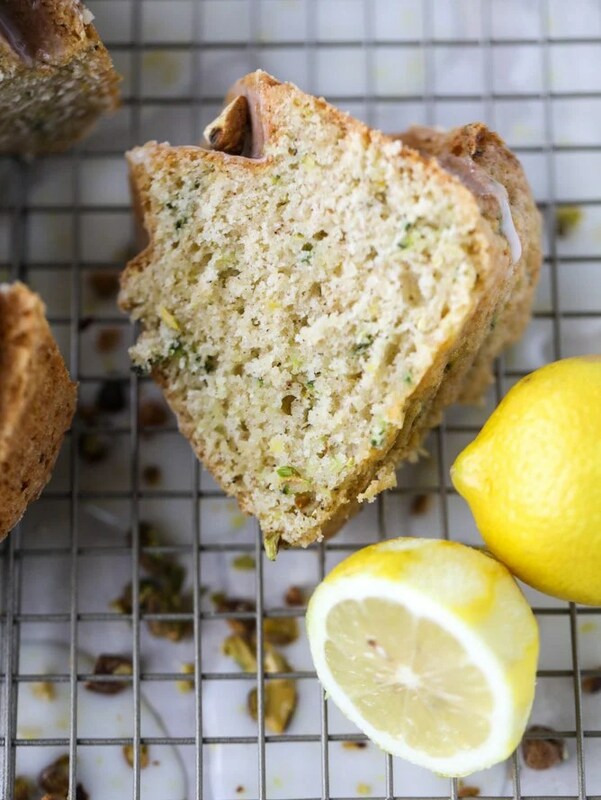 Well, it certainly was me with this lemon pistachio zucchini cake. Yes yes yes I’ve gone a little nutty putting vegetables in my desserts recently. I’m not even done yet, as I still have one more to share after this. But I’m loving them. I love zucchini more in desserts than in savory dishes. And when it’s mixed with lemon… AND pistachio?! Oh my gosh. I’m 100%, crazily, totally sold. The ONLY way I can imagine this being better is if we made it into a coffee cake. Like with a wonderful brown sugar crumb right there in the center. WHYYYY didn’t I do that?! I should have. Maybe I still will! If you’re into it, I made a zucchini coffee cake last year and it was GOOD. But this cake. It’s also good! It’s very light and fluffy and lemony. Funny story: if I make recipes on Mondays, I take most of them over to my mom. I took all but two slices of this cake and a week later, she told me that she ate the entire thing HERSELF, it was that good. I’ve often talked about how my mom is the kind of person who can bake brownies or cake and have one satisfying (appropriately sized) slice each night and no more. She has the healthiest mindset about food, aside from the fact that she thinks all white bread reigns supreme. Ha! 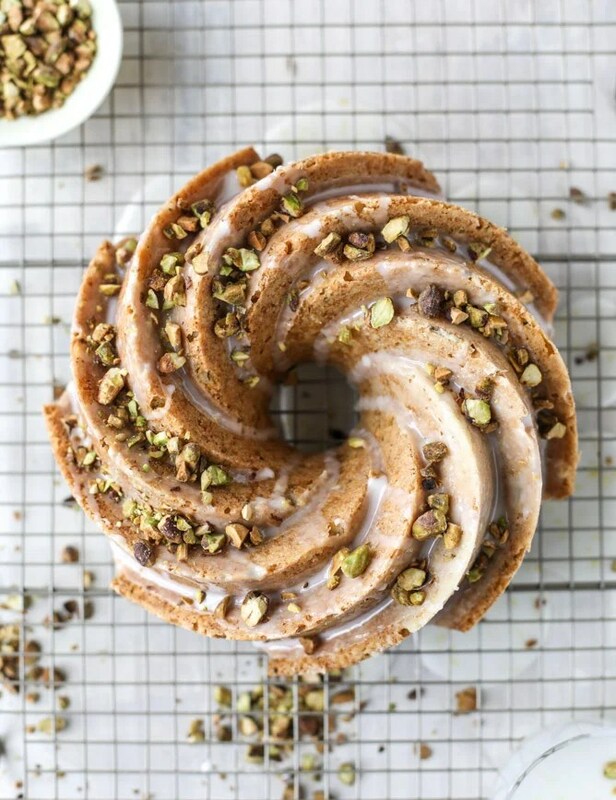 This bundt here was a different story. I think she was pulling double duty and having a slice for breakfast AND dessert at night. She raved about it and I was actually upset that I didn’t keep more of it for us. Totally have to make it again here soon so I can do that. My favorite part, obviously, is the whole pistachio thing. You know what a pistachio freak I am. And remember when I discovered that you can add a touch of almond extract to your desserts to make them taste like that old-school, almost-fake-but-delicious pistachio flavor? Like the green cupcakes and pudding? I did that here and it brings out the flavor so, so much. So now you REALLY know what to do with all of that zucchini you find yourself with in August and September. I mean veggie bowls are OKAY… but it’s all about cake. 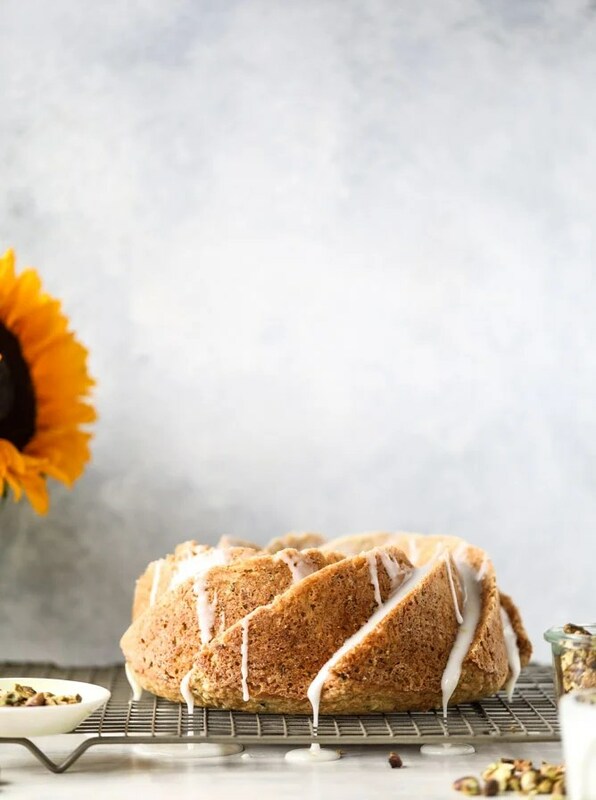 Preheat the oven to 325 degrees F. Butter and flour a bundt pan (mine is a 7 cup) generously – this is the ONLY thing that I find works in removing a cake successfully from the bundt pan. Do not use baking spray – butter and flour! In a small bowl, whisk together the flour, pistachios, baking powder, salt and cinnamon. 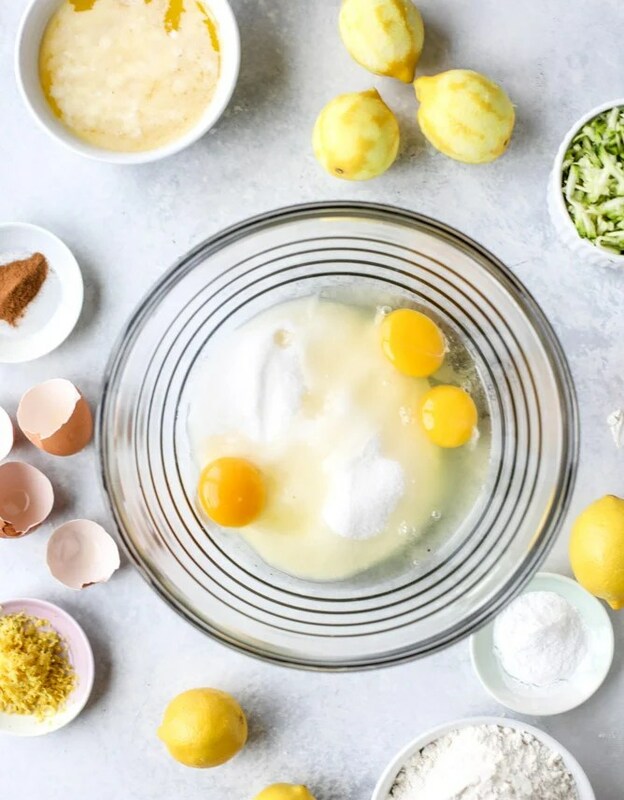 In a large bowl, whisk together the butter, sugar, eggs, lemon zest, vanilla extract and almond extract until combined and smooth. Stir in the zucchini. Stir in the dry ingredients until a batter forms. 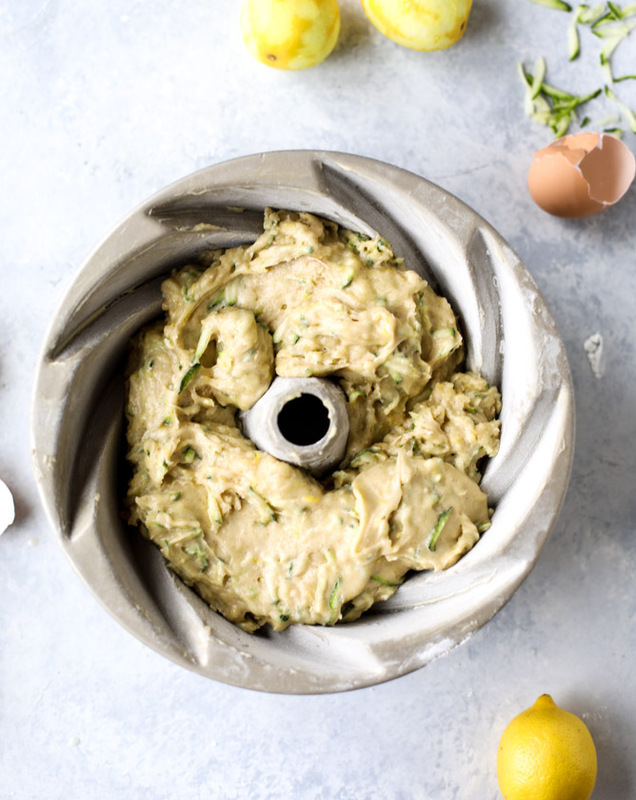 Scoop the batter into the greased and floured bundt pan. Bake the cake for 60 minutes, or until a toothpick inserted in the center comes out clean. Let the cake cool for 15 minutes in the pan, then gently turn the cake out and let it cool completely. 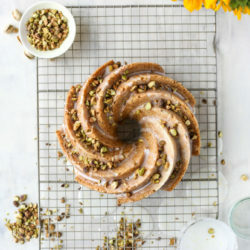 Once cool, drizzle it with the glaze and top with the crushed pistachios. Slice into wedges and serve! Whisk together the lemon juice, sugar and extract until smooth. If the glaze is too runny, you can add a bit more sugar about 1/3 cup at a time. If it’s too thick, add in more lemon juice one teaspoon at a time. 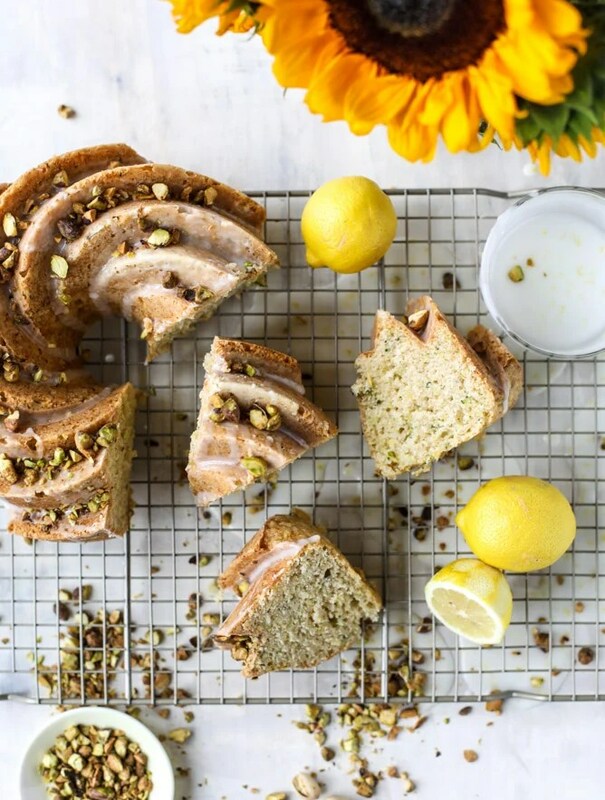 Drizzle over the cake and cover with the pistachios! Be sure to follow howsweeteats on instagram and tag your recipes with #howsweeteats! You can also post a photo of your recipe to the howsweeteats facebook page. I appreciate you so much! And don’t those green veggie specks just make you feel good about dessert? 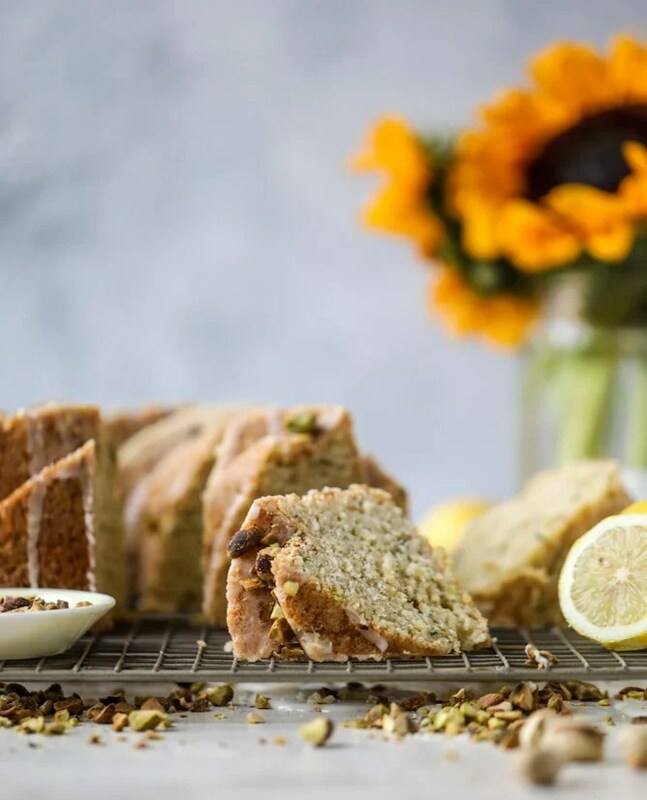 The post Lemon Pistachio Zucchini Cake. appeared first on How Sweet It Is.